Maddy is part of the Old Town Hypnotherapy team at Wood Street Wellbeing and is an experienced professional hypnotherapist who qualified from the prestigious Clifton Practice Hypnotherapy Training School in 2005 with a Diploma in Hypnotherapy and Psychotherapy and the Hypnotherapy Practitioners Diploma. 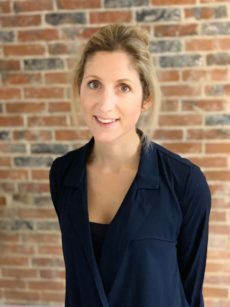 Once qualified, Maddy ran clinics in Bristol and West Berkshire and in 2018 she joined the Old Town Hypnotherapy team in Swindon. Maddy is an experienced and passionate SFH who specialises in anxiety disorders. She has completed further training in Post Traumatic Stress Disorder, fertility and hypnobirthing and works regularly with both adults and children. Maddy is a member of the Association for Solution Focused Hypnotherapists and the Complementary and Natural Healthcare Council and is bound by their code of practice. Maddy maintains full Public Liability and Professional Indemnity Insurance and holds an enhanced Disclosure and Barring Service (DBS) check. *‘I really looked forward to my sessions with Maddy, Her explanation of the brain made so much sense and I felt more in control after our very first session. It really has changed how I live my life and I can’t recommend Maddy highly enough’ Sara. *‘I have changed more in the six weeks I’ve seen Maddy than I did in 3 years of talking therapy.’ Daniel. *‘I flew all the way to Tokyo! Happily! Amazing.’ Susan.